IF is a powerful little word. Two letters; infinite implications. Early in my teaching career I taught middle school students. I survived that and so did they. One of the writing strategies I used in an attempt to teach them how to form a simple thesis was the "If/then statement." If _________ , then _________. It was pretty effective in getting their adolescent minds to think in a bigger schematic, to consider that there is often a reaction or a consequence or an outcome "if" something else happens. When I first heard about IF: Gathering in the summer of 2013, I was immediately drawn to the concept. That first announcement included an if/then statement from founder, Jennie Allen, "If God is real, then what?" THEN WHAT? Later the statement evolved; "If God is real (and we believe that He is), then we want more than anything to live like it." This English teacher appreciated the structure of these sentences and all their implications. Those are loaded sentences. THEN WHAT? For me, this year, then what looks like hosting an IF: Local in my little town. Then what looks like me stepping outside my comfort zone and putting the idea out there to one friend -- one souled-out, spirit-filled red head to see if I was crazy or if she, too, felt that the women in our tiny spot on the Western side of Arkansas needed to hear from God. Then what looks like partnering with a group of women, two I knew and four I didn't, to bring the Austin simulcast to our place. Then what looks like going out on a limb and dangling from it as I share my heart and invite women to come. Then what looks like worrying nobody will. Then what looks like a big smile and a YES! when another IF: Local registration comes through my email. The thing I'm really realizing here is that then what is right now. Right now I am anxious and nervous about putting myself in front of a group of women who have gathered at my invitation. It is completely unsettling to me to share what we might term the good news (for lack of a better expression). I am not ashamed of the Gospel; I am ashamed of myself. Who am I, with my tendency to accidentally (and on purpose) cuss (when appropriate, of course), to share or counsel or teach or even host a simulcast about the realness of God and what that means for our right now? Surely I should wait until my marriage is perfected, my girls have all grown into lovely Proverbs 31 ladies, and I have followed Dave Ramsey's baby steps to achieve financial independence before I dare accept any task for which God may have called me. But, then what and right now don't allow me to wait. And, they won't allow you to wait either. IF: Local was the result of outpouring of desire from women across our county. When IF: Austin sold out last year in under 45 minutes, the leadership team seems to have understood that this gathering was an organic thing. It grew. And it grew. And this year there are approximately 1,000 IF: Local locations around the globe, ready and willing that women should come together (cussers and all) to sit under solid teaching about living like we believe God is real. I am privileged and blessed to be a part of bringing this gathering to my little white church in my little town. Friends, if you're considering attending, but you aren't sure what IF is, get in touch with me. Go to IF: Gathering and read about it. Then, when you can't shake that feeling that you need to be there, go to IF: Alma and register. Join us Friday at 2:00, or if you're working, come at 7:00 for the evening session and attend Saturday, too. In the IF: Local Leader's Guide, Jennie (or maybe someone else!) penned the phrase "Simple and Pure." That's been our theme. We will provide some snacks and drinks for you; we'll have box lunches for purchase on Saturday. Other than that, our decor will be simple and we pray our hearts will be pure. We are trusting that the teaching and the presence of the Holy Spirit will be more than enough for us. If God is real, then we want more than anything to live like it. If that's you, too, be a part of this with us. There are just a few hours left in 2014. I don't know about you, but I get all introspective at the end of the year. Like one of my dearest friends said, not more than a couple of hours ago, there is something so special about watching one year end and a new one emerge. If anyone understands the embrace of a new beginning it might be the two of us, sitting in the kitchen of her terminally ill mother, both of our fathers gone just over a year. There have been lots of years that I've been desperate to leave behind (2008, 2011), but this one has been pretty decent. Maybe my expectations for a new year have changed in the past decade. I suppose the realist in me understands that my life is pretty much settled at age 40, that I will teach and Jamie will machine. The girls will grow up, and other family members will grow older. The house will still need cleaning, and the people who live in it will want to be fed. My friendships will remain solid and stand the test of time, and maybe we will get a little vacation or make a big purchase. Such is life for middle-class Americans. Thankfully, I'm not a total realist. I still have some big dreams; I am not resigned to only teach and only clean and only cook. I have big dreams that I don't say out loud to very many people at all. Herein lies the crux. When do you say, with a house payment and a car payment and three kids and orthodontia, "I'm going for it!" What if there isn't a foolproof plan? What if -- here's the biggie -- I fail? Almost as if he read my mind, my pastor tweeted this earlier today: "That recurring idea that raises your pulse, puts a smile on your face, and overwhelms your dreams...go after that in 2015. It's time." Whoa. I kid you not; I am teary-eyed just thinking about that. How do I do it? What does going after it look like at age 40? Here's the thing... Resolutions are broken. Naming my year with one special word is forgotten. Probably my best bet is to form some routines, develop a real structure to my days that gives me time and opportunity to cultivate my life. Probably that looks like less time on Facebook and more time in my notebook. Probably that looks like less time playing Candy Crush and more time being present with my people. I'm proud of a lot of my 2014. I finished my masters. I became the other half of the Sassy Schoolmarms and thoroughly enjoyed podcasting. 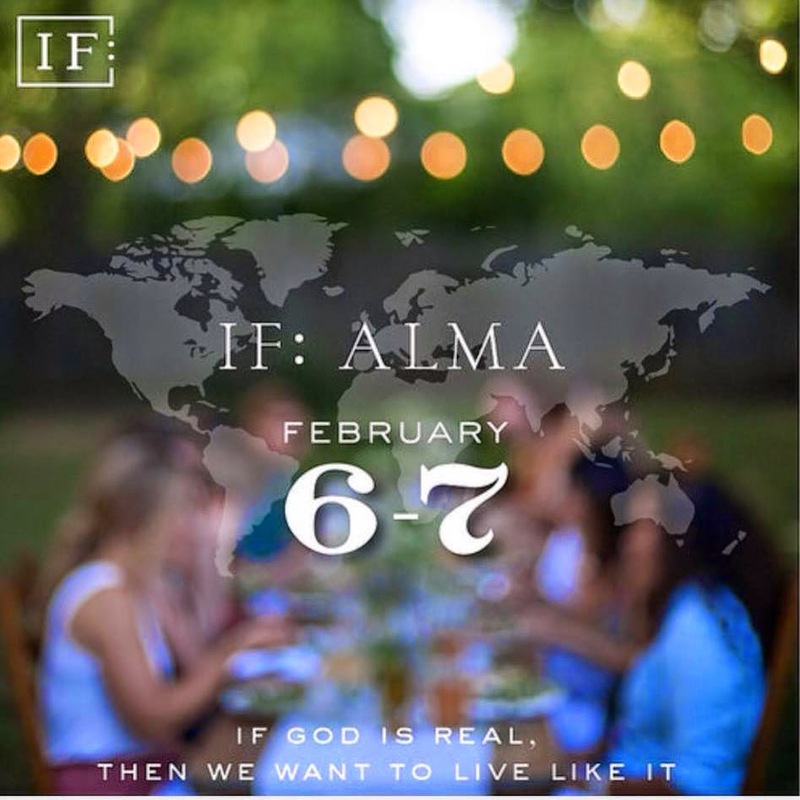 I stepped out in faith and began to organize a team of women to bring IF: Alma together. Jamie and I made it to 21 years of marriage. My girls are ending the year in really good places. These are the things I can reflect upon and feel satisfied with. What will 2015 hold? Who in the world knows? 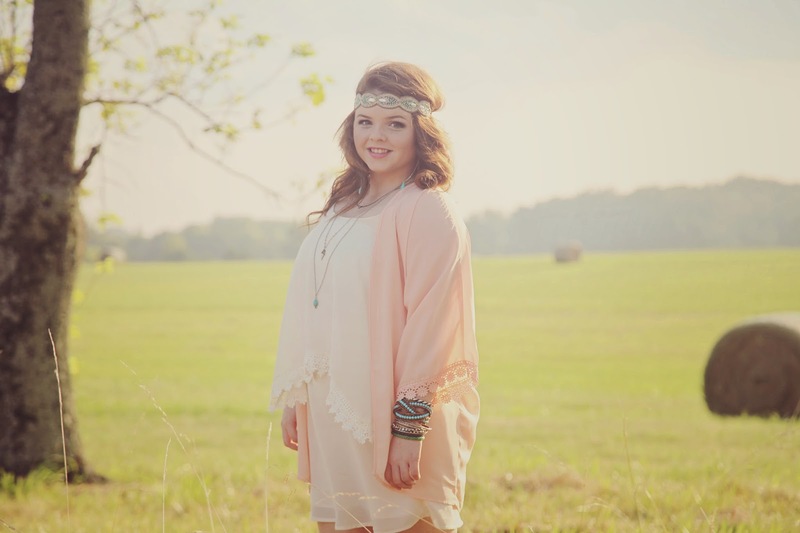 We plan on seeing Parker Jane graduate and begin the next chapter in her life. That gives me so much joy! Other than that, it's anyone's guess, but I have faith that God, in his sovereignty, has ordained the days of 2015 for me. I may be surprised, but he won't be. Annie Dillard says, "How we spend our days is, of course, how we spend our lives." I need to print this and put it in every room of my house, in my car, in my classroom, and on my debit card. Isn't this a great thought to grab hold of right now? Every day of 2015 will matter. It's time I began to live like I believe that. My friend Tiffany has so graciously allowed me to share her story with you. Our Sunday morning small group has spent the last several weeks looking at the seasons of the year and how, as believers, we also experience seasons in our faith. We wrapped up our look at specific scriptures that correspond with the seasons a couple of weeks ago and now those of us who regularly attend are taking turns being responsible for the lesson each week. The purpose is to share our own stories and our growth through the various seasons in our lives. This week our sweet Tiffany shared more of her story with us and we were so blessed. I am so glad she has given me permission to type this up and post because I know many of you will be blessed as well. "First off, I do wish to say that I do not share these details of my life for sympathy, pity or attention. I do not want this to be about me. I share these things simply to give a deeper understanding of what God has done in my life and what he has brought me through. Some of these are things I still struggle with, but I have a hope and faith in God that I did not have before. Many people I know have some early childhood memories. Vague things that they remember even from ages as young as 2 and 3 years old. I do not have such memories. I don't remember much before the age of 8. My earliest memory is from when I was 5. I was living in a car with my family. I remember our family only having a half loaf of moldy bread to eat. Mom would peel off the green parts and that's what we ate. My dad had quit another job and my mom had just started a job and was waiting on her first paycheck. I remember one night us parking in the back of a parking lot (which I now recognize as the Quarry Shopping Center in Fort Smith). It was nighttime and we were going to sleep. I was in the back seat with Teresa and my mom and dad were in the front seat. Mom was holding Tonya since she was still a baby. I was clutching my stuffed Santa Clause doll, the one thing I was able to keep through our various moves. The thing I remember most is a feeling of fear and insecurity. These are feelings that would dog me for years to come. Eventually a police officer came and told us we couldn't stay there, so we left. I don't remember where we went after that. A week of so later, my mom received her first check. By that time we had been without bread, or any food, for a few days. I got sick and threw up in the office where she picked up her check. She took us to KFC to eat, but I felt too sick to eat much. To this day my mom complains about how "stupid" I was saying things like, "If you had just eaten something you would have felt better." Not long after that we moved in with my grandparents and things were good. I felt safe and secure for the first time in my life. I was enrolled in school (a few months late). I was wearing nice clothes and eating good meals. This lasted about a year. Eventually my dad got a job and rented us a house, but things didn't get better. My dad is an alcoholic. Eventually utilities like gas and water would get shut off, if they were even on to begin with. Gas was usually not turned on at all which meant cold baths and showers or microwaving water and sponge bathing. When we didn't have water on at all, my parents would get jugs of water from neighbors or coworkers. My dad never bought enough food for a family of six. The very first things he did ever week was buy a suitcase of beer. If he ran out of beer, he would pawn our belongings to buy more. We rarely saw him sober. When he came home from work he would get drunk and pass out. He would go to work the next day with a hangover. We moved at least once a year and we always lived in squalor. My mom is an animal hoarder, so we lived in animal filth. We always had roaches. A lot of roaches. If you opened a cupboard they would rain down on you. We always had head lice that were never taken care of. I missed nearly my entire 6th grade year for lice. At 15 years old I developed a severe staph infection of the scalp. My mom never took us to the doctor, so her solution was to put witch hazel on it and it will get better. It never did. My scalp was covered with inflamed, pus-filled bumps and I lost about half of my hair. Absolutely devastating for a 15 year that already suffered from deep insecurities. I could not cry about it as I had learned from earlier experiences like the death of my grandfather, that I would be punished and called names. I also had no friends to confide in which presented a new struggle in addition to the fear and insecurity. Loneliness. I eventually did see a dermatologist that put me on medication to clear up the infection. He made it clear that I was lucky it didn't spread to my brain. I know now this was not "luck." God protected me then as he had through countless times in my life. I did not know nor would I have understood that at the time. I was raised with little to no knowledge of God. The feeling of loneliness, while there had always been a nugget of it, became unbearable in my teen years. I had very few friends, even before I was homeschooled. The friends I did have, I only saw in school. I could not call them as we rarely had a phone. I was not allowed to see them outside of school. These friends never referred to me as a "best friend." Their other friends held that honor. 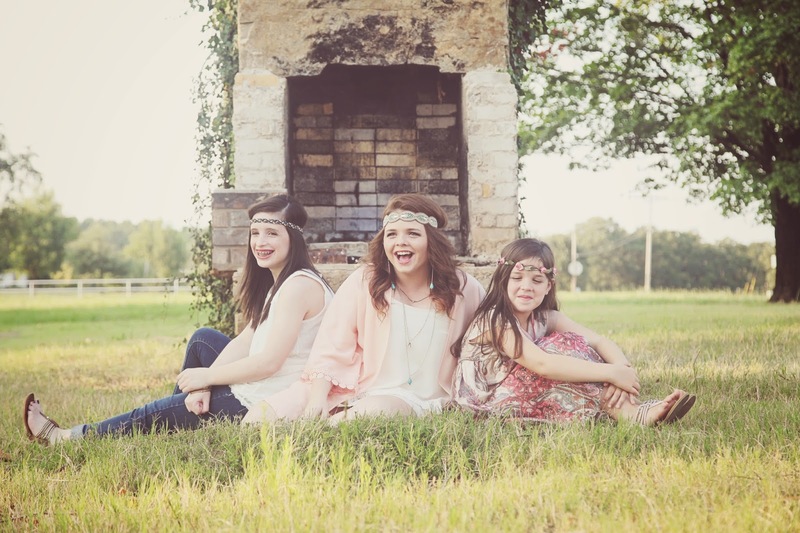 Even my sisters had "best friends," but I never did. For me, that hurt a lot. I began spending most of my time reading books and playing video games. Things I could do alone that would distract me from the loneliness. I was never bullied or treated poorly in school, but I was also never included in things. I was always on the sidelines. Even in my own family, I was left out. When I began going to church, it was the same. I felt alone and separated from everyone around me. People rarely spoke to me or sat with me. Even my fiance at the time often left me to sit by myself. I couldn't figure out what was so wrong with me that others couldn't stand to be around me. Things came to a head when I was 17. I had begun having suicidal thoughts and had contemplated cutting myself with the knives from my own collection. "No one will miss me," I thought. It would be better if I were no longer a burden. My grandmother grew concerned when I confided in her. She took me to a psychologist and I was diagnosed with moderate/severe depression, social anxiety, and, insomnia. I was put on medication. Things continued in a downward spiral. My family was, for the third time in my life, under CPS investigation. My mom had moved beyond verbal abuse towards physical abuse. My fiance began verbally abusing me, calling things like crazy. Telling me that all our problems were my fault and he couldn't marry me until I "grew up." My dad began buying even less food for us. A loaf of bread and a package of bologna for the entire week. He bought more food for himself that he separated from ours and we were not allowed to touch. To top everything off, I called my fiance one night, crying and broken, only to have a woman answer. He had been living with her for several months unknown to me. He broke up with me over the phone as his new girlfriend began calling and harassing me for several weeks. During that time my hands had begun to shake uncontrollably, and I couldn't keep food down. I lost six pounds in a week. I ended up staying with my grandmother for a few weeks. That first night, after my grandmother had gone to bed, I broke down and started crying. For the first time in my life, I cried out to God. I had been in church for over a year, but only because my fiance had made me go. I never could bring myself to come to God. I felt worthless and there was so much fear in me, so much I didn't understand, like love. As I was crying out to God, that is what I asked for. A sign. Show me what love is. I could not grasp the concept of unconditional love. From my experience, love was selfish, love was angry, love was hurtful, love was deceitful, love was judgmental. That was all I had ever known. I felt a peace come over me and I was able to sleep soundly for the first time in a long time. The next night, I received my sign. I was about to go to sleep when I received a phone call. It was Arnie. I had known him for a little over a year. He was one of the few in our church that had tried to make me feel included. He called me without ulterior motives. He just wanted to see if I was okay. He didn't speak much English, but I could understand him perfectly. He spoke to me for about an hour and promised to pray for me. He also promised to call me again. He kept his promises. He called me daily just to encourage and pray for me. When I returned to church, I no longer sat alone. Arnie sat with me every Saturday, answering my questions about the Bible and encouraging my new walk with God. I was baptized in October of 2007. I was eager to serve but struggled with finding my place in the body of Christ. Nothing I did ever seemed good enough, and I struggled to connect emotionally with others. Even with God. Old insecurities came creeping back and I began distancing myself from everything and everyone. Marcia Ford sums up how I felt so perfectly in her book, Memoir of a Misfit: Finding My Place in the Body of Christ. (Tiffany shared a passage from the book, but this quote from Ford was the main idea: "It's always been fear that kept me from God.") It's a funny things to look back and recall the irrational fears I had and sometimes still have. Knowing one thing but feeling another -- knowing that God loves me unconditionally and with a perfect love, but thinking, "If imperfect people couldn't even stand me, how can the perfect God?" I felt worthless and unworthy of that love. I was afraid I wasn't doing things the "right" way. Everyone else seemed to have it together, pushing forward at a steady pace while I stumbled, stalled, and backtracked. Feeling like I was even holding Arnie back. I now know this was the enemy and I was giving him too much sway in my life. It took a long time for me to realize that I was not the only one struggling. Satan attacks each and every on of us, but with God we can overcome. I still struggle with fear and insecurities, but I now have hope and the unfailing love of God to carry me. A life of fear is not his will for my life. 8 There is no fear in love. But perfect love drives out fear, because fear has to do with punishment. The one who fears is not made perfect in love. He delivers me from those fears. In Him, I am made complete. If Tiffany's story didn't touch your heart, you might check for a pulse. As a teacher, my first thought is, "Who are these kids in my classroom this year?" As a mother, I have all the thoughts. And, as a friend, my first thought is, "Tiffany is an overcomer." As I was typing this, I realize that so much of what blessed me this morning can't be recreated on the page. You really needed to be in that room, across the table from a very poised Tiffany who shared what the Lord had laid on her heart. She and Arnie are precious to me and to our body of believers. On another note, this group of women who I spend almost every Sunday morning with have become my lifeline. We don't play "church lady" in our class. I just can't do that. I suppose I feel so connected to these women because we are very real and authentic and we can trust each other to keep our most private "realness" to ourselves. There is power in prayer and power in bringing things that have been hidden in darkness to light. That's what we do for each other -- we carry burdens and we grow in our understanding of each other and of God and we pray for miracles. And, believe me, we've seen a few miracles already, one example is another part of Tiffany and Arnie's story as they sought to relocate from a mold-infested house on the tightest possible budget. It all worked out. We joined them in asking for provision and their need was met. I could go on and on about my friends, and maybe I will another time. For tonight, in this season of Thanksgiving, I hope their story inspires some reflection and a welling up of gratitude for the blessings you've been given (and the trials). It all works together for God for those who love the Lord. I was in my senior English class on a drizzly February morning when I was called to the office to check out. I had no idea why my mom was standing next to the secretary's desk waiting for me. My first thought was that something awful had happened, but she was smiling. She didn't leave me wondering for long -- she was taking me to register to vote. I remember thinking that was kind of weird. I mean, why? Why was my teacher-mom, who so values education and good attendance, checking me out for this? I knew I could register when I turned 18, but doing so on my actual 18th birthday had never occurred to me. She drove me downtown (Again, weird. I'd been driving myself around for two years) to the County Clerk's office. I filled out a little card and got my voter ID. Then Mom drove me back to school and hurried herself back to her own building before her conference period was over. Ok. That was cool. I never thought much more about that until years (umm, almost decades) later during the 2008 election. I've always voted; my parents always voted. In fact, they were one of those couples who liked to vote together. Voting was modeled to me as a citizen's civic duty and I have fulfilled my duty. What I didn't understand was how deeply my mom felt about the privilege to vote. She didn't share her philosophy or her politics that morning. I didn't get a lecture or an emotional appeal to remember that others paid the ultimate price so that I could vote. I simply got an hour of my mom's time and a ride in her car. In retrospect that said more than any verbiage she might have used. Our oldest daughter turns 18 in May. I plan on continuing this tradition with her, almost exactly like my mom did with me. I will use my conference period to give my own child a lesson in privilege and responsibility. The midterm elections are over now and, thankfully, that means the campaigning and advertising are as well. The polls are closed and the results have been trickling, well, more like flooding in here in Arkansas. We have a new governor and a new senator. Those races were called early and now we are just waiting for the results of our local offices. I love watching the ticker roll across the bottom of the screen and hearing the word "precinct" over and over again. As a young adult of the 90s, I hope you made it out to your polling place to rock the vote! It is a lazyish Saturday morning around here, at least for me. We woke up to our first frost after reaching a low of 29 overnight. I had added the winter quilt to the bed and turned on the central heat before going to bed last night (hibernation mode). I was chilled to the bone after sitting in the bleachers while watching our Airedales win the Battle of Bone for the fourth time in in a row. Victory is sweet. An almost shut-out is even sweeter. Yesterday was Halloween and I was ever so thankful to only need to worry about one child having a costume. 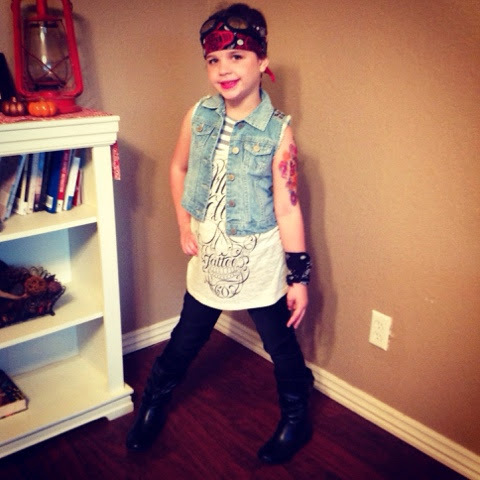 Lilah wanted to be a biker chick, so we pulled an outfit together and outfitted her with a temporary tattoo sleeve that may not be so temporary after all. Those tattoos are on there good! She looked great and the best part is that she can continue to wear the boots, vest, and jeggings. I'm seriously so proud of myself for managing to only spend money on stuff that can be reused. One of her sweet friends had a Halloween party for her birthday last night, and Lilah had the best time. I hope this little group continues to enjoy each other as they grow up together. We've just really been blessed with meeting some precious little girls since Lilah started school. October has been quite a month. I believe you all know I love fall, and I do, but that really doesn't guarantee that it's going to be an easy time. The past month has not been particularly easy, but it's been manageable. I'm learning that manageable is sometimes the best I can hope for! 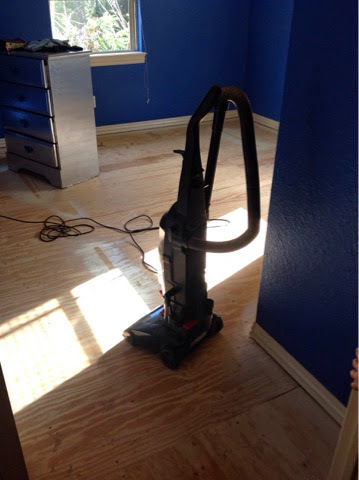 Of course, I make things difficult from time to time when I do things like rip up a bedroom's carpet on a whim because I saw some cute painted floors on Pinterst. Really, it's time to replace the carpet in all the bedrooms because we are so hard on carpet. I'm glad to have gotten six years out it. New flooring isn't in the budget right now, but I can buy some paint and stencils. I figure this can ride us over until we decide on new permanent flooring, although, the painted floors I've seen are super cute. We shall see! Last week I traveled with Mom and Anna to Shady Grove where we buried Dad's ashes. It's been almost a year, and Mom said she was ready. We took the beautiful arrangement from his memorial service and placed it on his grave. It was a sweet time. The Lord was so gracious in stopping the rain that had been pretty steady all morning for us. My mother's cousin and his wife met us there, and Don used his post-hole digger to prepare the spot. We all joined hands in prayer before we placed Dad in the ground. Wanda Lou suggested we each take a handful of dirt to toss in, and we did. I've not been at a graveside before where that was actually done. I feel like Dad would have been pleased to know we were all there, and I know he would pleased to know that he is now near my grandparents and other extended family members. That cemetery is a special place. I can't tell you how amazing people have been in this past year. My mother is loved and cared for, that's a fact. I'll have to sit down and just create a list of the kindnesses others have shown her. From mowing her yard to sending flowers to fixing a shed, the thoughtfulness is overwhelming. I've learned so much from these friends of my parents about how to care for a grieving person, or really just a person with a need. I'm determined to put what I've learned into practice in the coming weeks and months -- don't ask, just do. Folks will tell you they're fine and they will rarely respond to, "What can I do?" with a real answer. So, we just need to DO. This seems like a good place to stop for today. It's 10:30 and I suppose I really should climb out from under these amazing blankets and get on with my day. Happy November, folks! Blogging for 31 days in a row hasn't actually worked for me. I knew it wouldn't. I wanted it to work. I have lots of excuses. I might try again next year. I've wasted the almost three hours I've been home this evening. I'm not really in to doing anything productive right now. I have on comfy, lounging clothes. I have my iPad in my hands. Lilah is practicing balk walkovers in a state of undress that would require her to put pants on if some company arrived.Molly has been fighting with the dog. Jamie is "napping" before he goes to bed. Parker is working. I have a cluttered kitchen, two full laundry baskets, a new book on my Kindle app, and three bedroom floors that didn't get vacuumed this weekend. I have a full tummy because I warmed up leftover chicken enchilada soup. My husband has a full tummy because I bought Fruit Loops on Saturday. The little girls enjoyed delicious popcorn shrimp for supper, and we are just calling this "Monday Night Dinner." I have a couple of windows open. I have turned on lights because it's getting dark earlier. I have enjoyed the cool, windy, October air. I have put jackets and sweaters back into the rotation. I Googled when Christmas music would begin on Sirius. This is my most favorite time of year. For me, autumn holds more promise than spring. Anything seems possible when trees change color. Fall holds within it the blessing of Thanksgiving and Christmas, of family and friends and food. Books often seem to read better in the fall. Autumn also conjures up feelings of nostalgia for me. Paradoxically, it also stirs up some "what might have beens." In October I'm always ready to pack up and move toward a new adventure, but my roots hold me steady. Is this my version of the cliched mid-life crises? Probably. This season in particular finds me stepping out in faith to plan and host an IF:Local gathering in my town. This season finds me researching summer writing workshops. This season finds me planning to order a green cap and gown next week for my first little bird who will fly the nest in August. This season finds me loving so dearly my friends, in all their flavors. This season isn't a fairy tale, though. I've stepped out in faith in some things and the enemy has attacked. I've cried lots of tears in October and I've been angry in October and I've felt moments of real hopelessness in October. Life is as difficult as it is wonderful sometimes. I am filled with gratitude for the women I can trust and depend on to carry me in prayer. I don't know how people do without the prayers of faithful friends. I am going to continue to enjoy my rainy evening. I'm not going to do much except put my pot of soup back into the fridge and start my book. I'll eventually tuck girls into their beds and leave the hall bathroom light on before I make my way to my bed. I'll leave the bedroom windows open and curl up next to my husband while Lucy settles in at our feet. I'll listen for my big girl to come in, and I'll watch for the porch light to cease shining in at the side window of our bedroom. Then, I'll close my eyes and offer up my praise and thanks to the One who blessed me with this wonderfully comfy evening at home. I'll begin again tomorrow and live another October day. October is my favorite month. It's easy for my fellow autumn-lovers to understand this -- changing colors, falling leaves, crisp air, putting boots and sweaters back into the rotation. October is also a month that I can't help but take time to reflect on the first time in my life that I had to be really brave. Spina Bifida is a birth defect that most people have heard of but that few really understand. Spina Bifida shares its awareness month with breast cancer and Down syndrome, so you can see why it might be overlooked. I lived 25 Octobers before I knew about SB in a personal way. The whole story isn't really important here. I've written plenty about my pregnancy and Molly's delivery. I've shared about the amniocentesis and my fear about the possible pain of the procedure. I've shared about watching my newborn recover from neurosurgery and how I had to care for her wound. I've told everyone about those seventeen days in the NICU and the emotion of it all. What I haven't shared with too many people outside of my circle is how brave Molly has been all of her life. Needle sticks and procedures and tests are run of the mill for Molly. She has never known a life in which frequent trips to Children's and other medical facilities didn't exist. She hates it all, and she has understandably had her share of meltdowns as she dreaded the next thing. 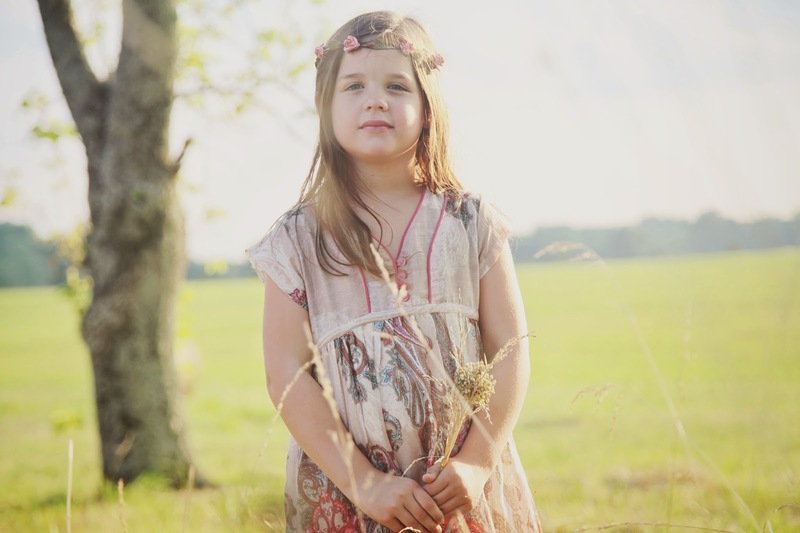 Really, though, those times were easy for me to stand beside her or under her and encourage her to be brave because they were required -- they are necessary if we want to keep her healthy. My middle girl has had to be brave in other ways that, quite honestly, have put me in touch with every negative emotion I could have. She's had to be brave and walk into a classroom or a cafeteria or a social event knowing that she would be the odd girl out. She has had to smile and blink back tears as girls whispered back and forth in front her. She has been brave enough to share all this with me, and she has been braver still to handle it on her own. Molly has shown courage and grace in the face of mean middle school girls -- that's common but be assured it is no small thing. Thankfully, I'm able to report that her bravery is paying off. 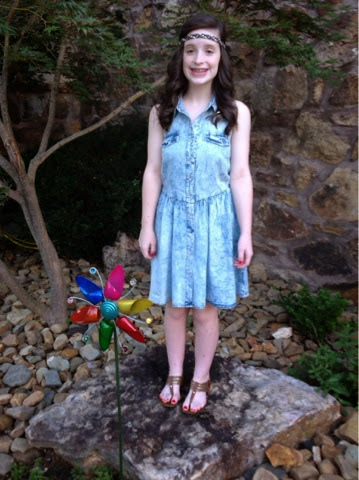 This year she left the middle school years behind and she is embracing her freshman year of high school. This year is bringing new friends, new activities, and a new delight in going to school. I hoped for this. I prayed for it. Just like Molly was brave, I was brave. I waited when I wanted to jump in and control the situation. I resisted the ugly urge to call up mommas and fill them in. I respected her wishes and didn't involve teachers or administrators even though I think she was walking through a clear-cut case of bullying. Sometimes, the really difficult, brave thing for me to do is hold my tongue. I was brave enough to trust that by God's Grace she would come through this unscathed, hopefully with an empathy for others that she wouldn't have learned so early on had this not happened. I want to continue to be brave. I want my girls to believe that they are brave, too. Certainly the episodes of our lives that require bravery look much differently for us than in places where bravery means life or death. Mean girls are a very first world problem. But, bravery begins where you are. Who can possibly know what bigger acts of bravery lie ahead for any one of us? Be brave, and be bold right where you are. So, I've decided to participate in my first ever "31 Days." The Nester has hosted this every October for the past several years, and I've always been interested in the idea of participating. This year I have overruled every reasonable excuse I can think of, and I'm just jumping in and going for it. My topic for this October is "Being." That's really vague, but I sort of like that I have some flexibility to write about a variety of ideas. My thinking is that I'll explore different emotions, moods, frames of mind, roles, and beliefs that my "being" expresses. Some of the bloggers who will be participating have really specific, really focused topics. Since I'm not an expert on anything, I think this very general idea is probably the way to go. I've been thinking a lot lately about being comfortable with who I am, being comfortable in my own skin... being myself. It hasn't necessarily taken me until age 40 to comfortably be myself, but I do have a different security in who I am than I did even five years ago. Being myself means I'll share this post on my Facebook page because writing is something I enjoy. I won't worry about how others perceive it; I'll just do it because I want to. Being myself means I finally see my talkativity as a really good thing. One of the things I'm learning to embrace about myself is my ability to talk to almost anyone...about almost anything. Being myself means I can be funny. Being myself means I know when I need to be alone and be quiet. Being myself means I don't worry too much about having a clean house. Being myself means loving my freckles and no longer wanting to try the Jan Brady lemon treatment. Being myself means honoring traditions that I catch a lot of grief over, i.e. white pants and shoes after Labor Day. Being myself means plain fingernails and a tattoo for a wedding band. Being myself means I have friends from a variety of lifestyles, socio-economic statuses, ages, and beliefs -- all of whom I love and who love me. Being myself means I don't waste time on keeping up appearances or pretending to be anyone other than myself. That's exhausting and my life is so nuts that any facade I create would fall apart within the hour. Being myself means I don't look to the achievements (or not) of my husband or my children to validate who I am. Being myself means I can look at Pinterest through the lens of "Yeah, that's awesome, but it'll never happen here." Certainly this list is not complete, but it is a beginning. It's a step toward being a real-life blogger! I hope you'll check in here throughout the month and leave your comments and your thoughts. I'm excited! Here's to 31 Days! Good morning! It's early. I've been up for a while now, getting the husband off to work and spending my quiet time in my swing on the back deck. Did you know I lay out his clothes for him while he showers? Yeah. I'm that awesome. You're probably failing as a wife if you're not doing that, too. -smile- I have carved out the time from when he leaves the house (about 5:40) and 6:30ish to sit here with my green tea and my scrambled eggs (Whole30 approved) or my apple. I usually watch the If:Equip bible study and read the day's passage. They're starting Genesis on Monday. Join me? I pray. I listen to about five varieties of birds in the trees while Lucy explores. She is usually ready to settle down on the deck near and I think she enjoys quiet time, too. This is a luxury that is quickly becoming a necessity. I am better equipped to handle the chaos of three girls getting ready for school if I've had a few moments to myself. I'm beginning Day 9 of the Whole30. Google it. I'm omitting all dairy, sugar, and wheat for thirty days. I am eating boring food because I am not an adventurous fruit and veggie eater. But, I'm sticking to it. I've been a bit convicted that this is a spiritual thing for me. I am addicted to sugar. This process is giving me an idea of what it must be like for an addict to quit a drug. Sugar is never far from my thoughts. I may get busy and not notice it much, but when I'm tired, cranky, hungry, sad, happy, etc. it just calls to me. I'm going to make it, though. I'm going to make it and get a lovely little tattoo on my left wrist when I'm finished! Parker is a senior. Always. On. My. Mind. God answers prayers, even little ones. I've carved out some time on Monday nights to do the new Beth Moore study, Children of the Day, at church. I'm ready to start that homework. I'm feeling like I want to blog more. Maybe I want to blog and just step away from Facebook for a while. A social media diet wouldn't hurt me at all. My people, even my oldest, have been so kind and encouraging. I hear, "write a book," from time to time and that just intimidates me. Maybe I'll do The Nester's "31 days" series in October. I'm going to need something to fill the Whole30's void. I'd like to be an encourager. Like, my heart is all about this, "Be real. Quit competing," idea. Surely women need to hear that a little more often. Maybe that's my niche. Who knows? My hair is either perfect for this humidity or terrible for it. I suppose if I embrace curly, then it's perfect. No straight hair is in my immediate future. This can be frustrating. We are expecting a cold front I hear. I'm so ready. I mean, I'm really so ready! Mornings are busy....I'll finish this tonight. The Sassy Schoolmarms have a new podcast up. We discuss Laura Ingalls Wilder's memoir, my distate for banana, and other riveting topics. Find us on iTunes and let us know what you think on Twitter or Facebook. Sara and I are having lots of fun, but we need an audience. Please. So, I finished this at home tonight and there are a million more thoughts in my head. I'll have to share them later because a skunk is in my side yard and I must figure out how to shoo it away before our dog sees it. 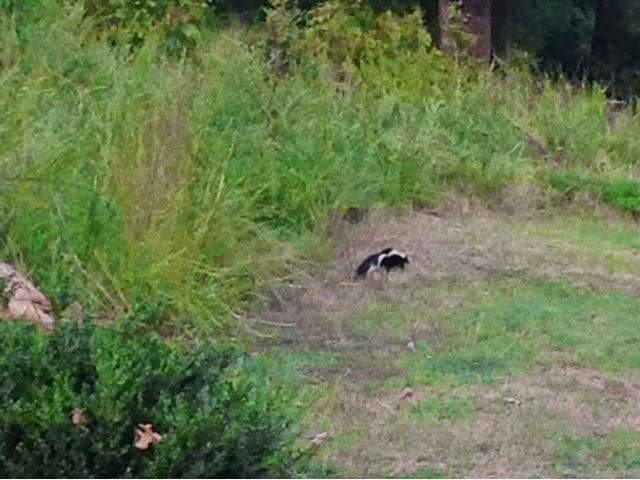 Are skunks seen in the daytime rabid? Here's a quick photo. Enjoy! It's not uncommon for me to be really moved during worship on Sunday mornings at my church. We are blessed by the most talented musicians each week who lead us right into the presence of the Savior. Our service is mainly a contemporary service, but there is usually a traditional favorite on the set list each week. Often times that hymn is led in a new, fresh arrangement. It dawned on me a few years ago that my love for musicals came from my dad. It was an event in our home if Oklahoma or The Music Man were being shown on PBS. He had the soundtrack to Hello Dolly! I can still sing every word along with the movies, and I fought to keep quiet when AHS performed two of them several years ago. Dad loved music from the 50s and 60s. I know every Neil Diamond and Elvis Presley song ever recorded. When Mom saw Jersey Boys this summer she remarked that, "Dad would have loved it." I had thought the same thing when I saw the trailer. I haven't written about losing Dad yet. I don't exactly know what's OK to share and what's best left to that special place known as "Private." I will say that I think The Lord has protected me from just giving into my grief, and I am thankful for that. Sometimes I find myself just thinking I'd like to have one more day with my strong, healthy dad. That's not exactly wishful thinking because I have a promise that I will see him again. I know beyond any doubt that my father was a Believer. I know he is in Heaven, not because the good he did outweighed the bad (although it surely did) but because he accepted Jesus Christ as his savior when he was young. I think there's enough hope in the coming of that day to comfort me when I grieve on any given day right now. Football season is starting. My childhood was probably more influenced by football than musicals. Dad loved the game. He loved the Sooners. He loved Barry Switzer and was really tickled to have been mistaken for him once in a restaurant. 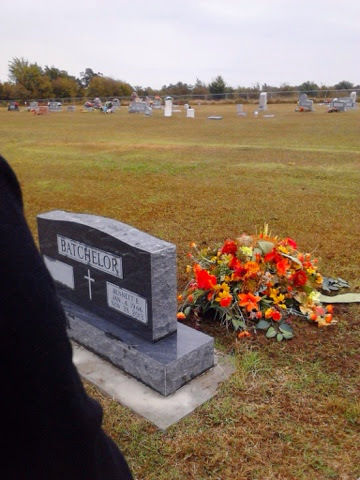 He loved the Sallisaw Black Diamonds and football on Friday nights. Maybe it's just the season, maybe it was the hymn this morning, but Dad is on my mind tonight. When we planned his memorial service, Mom, Anna, and I decided that an upbeat song he loved should be played during the slideshow. It wasn't exactly traditional, but it was a song he loved and I believe he would have really enjoyed it. I'll share it here just so you can enjoy a memory or two of him along with me tonight. It's the night before the first day of school. It's sort of like Christmas Eve. There's lots of planning to be done, lots of details that should not be overlooked. Kids are excited (teacher-moms are, too). I just finished reading "Dear First-Time Kindergarten Mom" which propelled me into emotion overload. You see, this year is new territory for us. We have a Senior and a Freshman. I've always known this would be the only year I ever have two girls in the same building, and it always seemed so far away. Now it's here and I almost wish it wasn't. So, two girls in high school -- this is new and I'm sure it will be unbelievably fun. I hope. But, let's don't forget Lilah, our second grader. As my husband has said more than once lately, "We were so close!" (as in so close to freedom!). He's kidding, of course. We wouldn't change our setup for the world. Anyway, in true Jennifer fashion, I am on the verge of becoming a weepy mess. These are pivotal years for at least two-thirds of my children. Here are some thoughts for each one of them as they head off tomorrow into 2014-15. You are in second grade! You are almost eight years old! I know you are excited to begin your year with TWO teachers instead of one. That means you're growing up. I remember second grade vividly. I was in Mrs. Gipson's room -- you have met her; she is one of Mimi's dear friends. Mimi's classroom was right across the hall, and it was pretty neat being so close to her. Ask me to show you a picture of her dressed like an Indian for our Oklahoma celebration that year. I am glad we have you! I am glad that even though Daddy and I didn't plan on having any more children, God had other plans. You are starting high school this year! This may be more difficult for me that Parker being a Senior. You are our miracle baby. It is through your birth and your surgeries and your challenges that I have learned to really trust the Lord. Ninth grade was my first year of high school, too. I was so awkward and so not-cute. I second-guessed everything, and, though others may have had a different impression, I completely lacked confidence in being myself. You don't seem to really struggle with that like I did. I'm glad. This year will be a big deal. For the first time you'll have friends who are not in your grade. You will gain a little more independence, but do not think you are grown yet! You will have some challenging classes -- I am glad. Dad and I do not expect straight A's, but we do expect you to work hard and to soak up everything your teachers want you to learn. This year you will probably find that some of your friends and acquaintances will make bad choices. That is perfectly normal, but that does not mean that you should follow along! I hope you will stand on your own two feet, that you will remember Whose you are, and that you will get through this year with very little regret. Regret doesn't always come from bad choices, though. Regret can also come with missed opportunities. Please take some risks and try all the things you want to try! Your middle name is unique, I suppose. In the bible, the number seven represents perfection and completion. Every day you are moving toward both of those! Enjoy your Freshman year! You are our "best first thing!" I have thought a lot this summer about what I want to happen for you next year, but as I've been studying the idea of "surrender" in bible study, I have decided that I am going to try to surrender my hopes and dreams in favor of what the Lord had planned. You are actually lying on my bed right now as I type at my desk. You have had an afternoon with Ryan and your friends. You have been at church this evening to make plans for the launch of our youth group's new concept. This time next year we will be moving you into a dorm. I can't even wrap my mind around what that will be like. 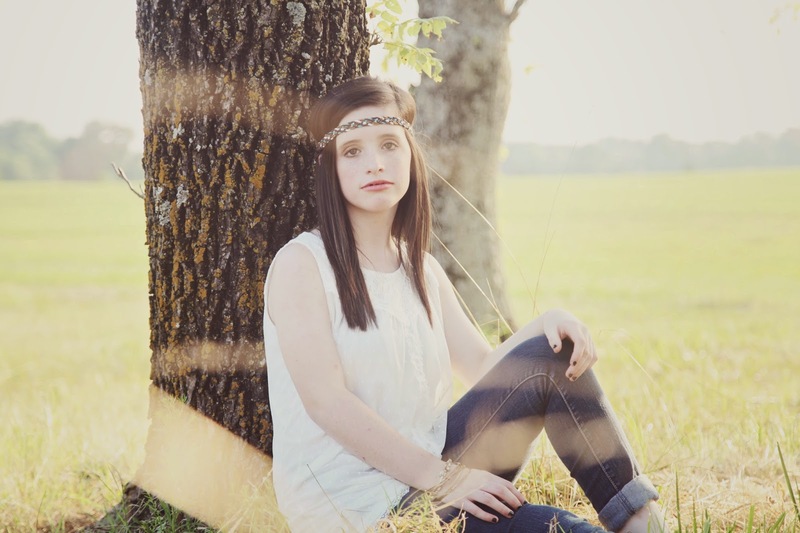 My senior year seems like yesterday, so you can imagine it feels more than a little strange to have a child who is a senior. Dad and I had been dating almost a year. I was a cheerleader. I worked part-time at our church's daycare after school. I was not pushing myself academically -- a regret I still carry. I maybe wasn't making great choices, but I was having a whole lot of fun. I didn't realize that I could have had a whole lot of fun making better choices. I had all but stopped going to church. That, too, is a regret I carry. You, however, are making pretty good choices. We've had a few hiccups along the way, but you're a quick study. It is my prayer that you will just continue along the path you've been forging for yourself. Last year was sort of a breakthrough year. In the yearbook, you were asked how you'd changed from last year (or something along those lines). Your reply was that your views on a lot of things had changed. I agree. Quite a bit of growing up occurred last year. You got a part-time job (you work for the BEST people around). You got a car (I know it's 13 years old, but it's dependable and without any major flaws in its appearance). You pay for your gas each week and you've learned to budget your money pretty well. You began dating Ryan, another good choice! I am thankful that you have a young man who treats you with respect. All in all, it was a stellar junior year! I hope you have the best of senior years! Enjoy the people around you. This year will be the last time you sit down next to many of them. Pay attention to the grownups around you. They have more wisdom than you imagine they do. Find some time for us as well. Lilah will spend the next ten years here without you being here full-time. Act like you know Molly at school. Maybe even make it a point to hang out with her. And, don't forget us. We are not perfect parents, but we're all you've got! You girls are my favorites! Let's have a wonderful year!